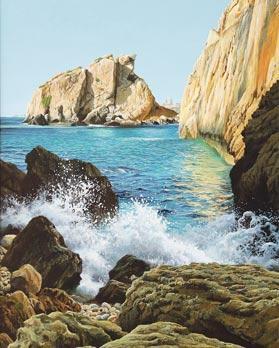 Andrew Micallef’s latest paintings depicting the natural beauty of Gozo are currently exhibited in Victoria including Taċ-Ċawl Rocks (left) and The Hamlet – Sta Luċija. Andrew Micallef’s 10th solo exhibition of paintings is currently under way in Victoria. 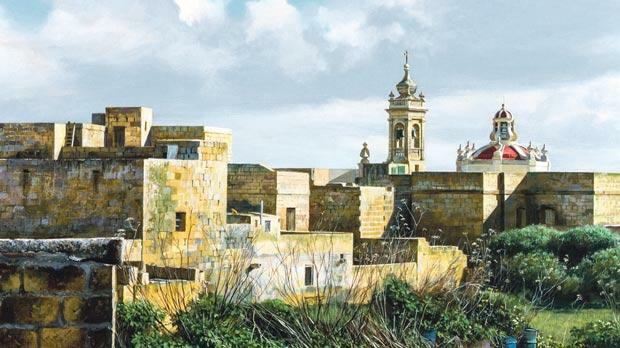 Għawdex fid-dawl u d-dell (Gozo in the light and in the shade) consists of 28 new works in acrylics, paintings which Micallef hopes will contribute to the awareness of Gozo’s unique character and typical vibrant landscape from an artistic point of view, while inspiring visitors to the exhibition to appreciate the natural beauty that surrounds the island. Every work accentuates the textures, patterns and colours and their interplay with light as is evidenced by the exhibition’s name. Also displayed are a number of sketches en plein air and other preparatory work with different mediums as a reference for the completion of a finished painting in the studio. ■ The exhibition is on until November 27 at the Banca Giuratale on Independence Square in Victoria. It is open from Monday to Friday between 8am and 2.30pm and on Saturday and Sunday from 9am to 12pm. For more information, visit www.micallefandrew.com.